Losing weight happens in many ways and it feels awesome but post weight loss the skin tends to look loose or saggy. This is quite unsightly and will look like all that hard work put in losing the weight is just not worth at all. If you have faced such situation then do not worry too much as the good news is that there are many methods , tips and tricks that can help you get rid of loose skin post weight loss and achieve a well-toned body. 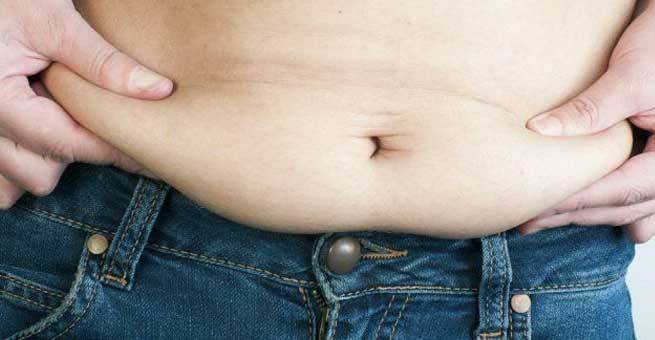 First and foremost let us get to know the reason behind the loose skin post weight reduction. As per the experts, in case of a moderate weight loss, the skin usually shrinks back to fit to the body’s current size as the skin is gifted with elasticity. The skin has proteins called collagen and elastin that grants the skin this special property however collagen is bound by its limits. Rapid weight loss or rapid weight gain can out space the collagen production of the skin as a result of which the skin overstretches and is not able to keep up with the pace of your shrinking body. 1. Do not lose weight rapidly: Always opt for healthy weight loss plan as that ensures better results for your body as well as your skin. Rapid weight loss by following fad diets or unnatural ways results in loose skin post weight loss. Ideally you should not lose more than 1 kg per week, this will ensure that the skin will keep up its pace with your weight loss. 2. Exfoliate your skin: Exfoliation can help dealing with loose skin post weight loss. By exfoliating the skin you are refreshing the skin and also removing the dead skin cells. Exfoliation replenishes the skin and it gets the oxygen and all the vital nutrients that are required to renew it. You can exfoliate the skin by either dry brush or by using a scrub. Make sure you use long strokes while you exfoliate the loose skin post weight loss. You can also try to exfoliate your body or loose skin post weigh loss with natural ingredients found in your kitchen like a combination of sugar, olive oil, honey. 3. Indulge in a massage: Getting a body massage at regular intervals is a great idea. Massage not only improves the blood circulation but also tones the skin well. Regular massages will make sure that the loose skin post weight loss is treated well and the sagging goes away completely. 4. Nourish your skin well: Indulge your skin in some good tightening creams which contain hyaluronic acid, soy protein, aloe vera, vitamin C, vitamin A and Vitamin E. This will help in increasing the collagen content of the body and elastin formation in skin. 5. Drink water: Healthy skin is achieved by drinking plenty of water. So daily drink as much water as possible. Minimum six to eight glasses should be consumed. 6. Consume raw vegetables and fruits: To get a healthy skin consuming fruits and vegetables in its purest form is the best. They have lots of minerals and nutrients loaded in them, that helps in making the skin more beautiful and keeps the skin glowing. 7. Yoga: Yoga is a very good method to tone the loose skin post weight loss. Yoga makes sure that your skin is rebound post weight loss and it also enhances blood circulation. 8. Avoid harsh chemicals: Most of the skin care products contain harsh chemicals in them which are extremely bad for the skin and they dry out the skin and thus contribute towards making the skin loose. Chemicals like sodium laurel sulfate and other related chemicals are present in skin care products. Therefore always check the ingredients before purchasing any beauty products.